I haven’t got a chance to read any of the books fully yet but I have met the author of this series and I have heard the bit in kirkas book where she met the snow leapored and it was awsome and very grabbing, if I read it I don’t think I would ever put it down. I have done an exersize with her and she was brilliant. Not many things get me as excited as I was when i met her! Read her books they are amazing and I’m sure you’d love them. hello Jan Bozarth thank you again for comimg into our wonderful school and I am reading your second book Kerka’s book and I am really enjoying it so far it is really well described and I am having a lot of fun reading the book and I will love the rest of the book. Your books are so amazing! I have only read the first three books, and I am trying to find a way to read all the others. I can’t find the copies in the library, and I know for sure that my parents won’t buy me them! I am currently re-reading the first three books and I am so excited! I am starting Birdie’s Book! After reading a regular old book from the library, you need something to exercise your imagination and be ready for dreaming! Jan Bozarth’s books are a refreshing read for anyone: kids, to teens, to adults. First thing is that these books are so creative. This world that the author creates called Aventurine is so different (in a good way). For each fairy godmother in training, the world is different. The characters are another great thing about the book. Birdie is very brave when she is in Aventurine. She is smart her character is realistic. Many girls can relate to the events Birdie face such as getting braces, and going to a new school. The characters aren’t perfect either, which is also very realistic. I also like how everything is tied together, and it doesn’t confuse people. For example, the theme of the first book was plants, so it’s good that you stuck with that theme. That’s my review! It might be different because I am not even a teen yet, so it might not be the best, but I at least hope you enjoyed it! These delightful books aimed at the preteen girl are deep and insightful into the psyche of not just young maidens on the verge of womanhood but also into the psyche of us women who are into our crone years. As a young crone (58 years old) I have thoroughly enjoyed reading this series as they validate the feeling, intuitive and emotional side of my feminine psyche. My emotions were taken on a fun roller coaster ride as I smiled, wept and feared with the heroine and her companions as they traveled ever forward on their adventures. I highly recommend these books to all persons wanting to enjoy an adventure that has magical beings, perilous situations, beauty, camaraderie, and love as the key elements. I love the series Fairy Godmother Academy because they are fun, exciting, and full of adventure! I love all of Jan Bozarth’s FGA books! I’m currently reading Kerka’s book, and I am loving it! It is very interesting and I really am enjoying it! I love how all of the characters are relatible, and how they aren’t perfect. Like…..how Birdie has braces, and how she and Kerka are nervous about there new school. I LOVE your books! I have recommended them to ALL of my friends (there re quite a few of them) and they LOVE THEM!!!!!!!! I hope this doesn’t sound like lying, but it’s true. I think your characters are very realistic, they aren’t perfect, and they’re each different in their own way. I own Birdie’s Book and Kerka’s Book, and they are on my top 5 book list! My mother likes the Fairy Godmother Academy books, and so does my grandmother. My best friend and I started a Fairy Godmother Academy club. All I hope is that I’m not too obsessive. Thank you so much for writing such wonderful books! 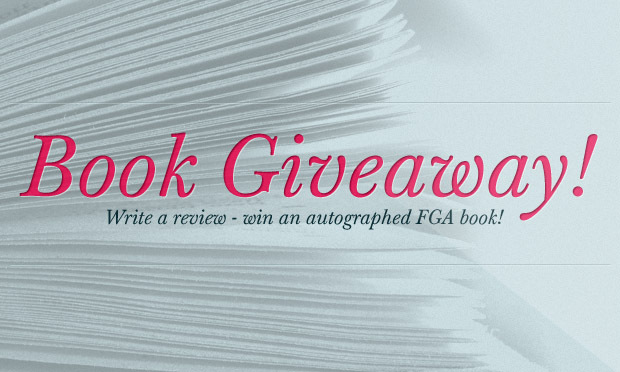 PLEASE KEEP WRITING FGA BOOKS! The book also included how Zally was afraid of spiders… That’s a tough one to overcome… I was also Afraid of spiders. I was until I realized that all animals have the same purpose as us. They don’t mean to harm us any more than we do. Actually, the dream book sort of helped me with that. I want to be an author just like you when I grow up. And I’m not just saying that. As soon as I started to read your book , I couldn’t stop! You don’t see many booms like that anymore… Anywho, I thought I could make my own dream book, so I did. That’s when I got hit in the head with inspiration And creativity! I now write stories in hope that someday they will be as good as yours. Perhaps as good as Zally’s book. Please don’t stop writing your beautiful books. One beautiful day the Agminium heard a loud crash. They loked up from beneath the water to see that a shimmering stone had hit the rocks and broken in two: One half fell to the ground, and the other half dropped to the edge of their pond. A walking human shadow picked up the stone from the ground and disappeared. Then the flowers hid their heads as a flying shadow dove from the sky. The shadow snatched the broken piece from the shallow water, and disappeared into the sky. Ever since that day, the special tree of Aventurine has been slowly dying. The land near the tree is dark, and the plants near it are dying as the shadow spreads.The fairies do not know how or when it is to be stopped, for they cannot change something that has a human beginning. They can only wait, as do the Agminium. Then the two girls venture off toward the Orchard of Allfruit, and The Lilac Wall. They find an apple orchard, then a pear orchard, and it goes on and on. They ear their way through peaches, apricots, oranges, mangoes, bananas, and olives. Then they reach the Lilac Wall. Then, together, they decide to open Zally’s Map to see if there is a way to get over the Lilac Wall. The two girls start to brainstorm, and finally they find a way to get over the Lilac Wall. Once they get over it, they are in a blue garden. Literally, all the flowers were blue! Then the fairy queen comes, Queen Patchouli, and helps them. The two girls are able to pick each an outfit of fairy clothing, and a good night’s rest. Then, they set off on their journey the next day, with mango ice cream and a granola cone for breakfast. Then, with their red feathers, they find the Redbird Wind, which smells overpoweringly like cinnamon. Then the girls (a little while afterward), find the Shadow Tree. There are ferns around there, and Kerka and Birdie both think that nothing is bad, until Kerka goes under the ferns and into the tree. Then, Birdie meets a banshee. Birdie starts to sing The Green Song, and helps Kerka out. Then, the two girls decide that they need to get home, seeing as it is New Year’s Eve. Queen Patchouli appears, and hands Birdie a letter, saying thank you for rescuing the Singing Stone, the Arbor Lineage talisman. Birdie wakes up, suddenly, not in Aventurine. She runs home to Granny Mo’s house, and finds her mother sitting in the kitchen, crying, sitting with Granny Mo. Then, Birdie shares her adventure in Aventurine with her mother and Granny Mo, then starts to play the Singing Stone. Afterward, Birdie goes to her new school, The Girls’ International School, and meets Kerka! The book ends with Birdie saying that it would be a great new year. I WROTE THAT ONE LONG ONE AS A 10-YEAR-OLD!!! I enjoyed reading birdies book , kerka’s book,and zally’s book and sumi’s book. they are perfect for preteen and teen girls who have an interest in magic, and fairies. They all go to a world in their dreams ,adventurine , and go on a quest to become a fairy godmother in training.. They bond closer to the females in their family ,learn more about their lineage , and explore the ever changing world. They meet with the fairy queens and every dream for every dreamer is different . you can easily root for them and instantly want to be their friend. They are girls, too, just like you and its great that you can relate to them. It is so amazing how thew help people using their magic as a fairy godmother in training.I find it fascinating how they all go to the girls international school of new York city. This is how I got hooked onto the series : I luv 2 read , so I was at the library. 🙂 🙂 I saw three books, birdies book, kerkas book, and zallys book and since I’m always looking for a good book I checked them out. I went home and read the book. I am into magic wand fairies and I thought they would be fairies. They were girls just like us and I could really relate to them! I thought they would all be along the lines of birdies book, but I was surprised kerka wasn’t too interested in plants, but kalis dancing ! I read all of them,and look forward to reading trinitys book. I loved kerkas book and sum is book mostly,since kerka liked dancing and sum I liked fashion! I only started to read this series 2 weeks ago, when I came across a section from my local library with Birdie’s Book. Curious as I was, I went on looking through the shelves. When I thought that there was nothing that interested me, I found another copy of the book and decided to give it a try. As soon as I started to read, I found myself in a trance. I was so into the book, I forgot what time it was and read the whole thing! It was amazing! I quickly decided to take it home and called all my friends to tell them about my read. I was surprised how much could happen In a day. Birdie is like the narrator of the story. It’s a bit like she’s reading out of her own diary. Her real name is actually Sarah Cramer Bright, Birdie is just her nickname that her father gave her in honor of her red hair, because his favorite bird is the California Redbird. Her father agree’s to send her to her grandmother’s for 3 days, Who he says that she’s been dying to meet her. I forgot to mention a couple of things… Birdie also brings along with her a potted daisy who she names, Belle. Birdie would also be going to a new school in Manhattan the following year. One more thing that anyone would need to know when reading the book,(actually, It’s written in the book) is that you can only enter Aventurine in your dreams. That’s pretty much what you should know about the beginning. She is training to be a Fairy Godmother, and is chosen to help heal the family tree, accompanied by her soon to be friend, Kerka. I can’t wait to find out what happens in the next book, And before you know it, I’ll have caught up with the rest of the group! Happy readings to Everyone! Even though I consider myself a bit too old for these books, I still love them, especially Birdie’s Book, which inspired me to consider gardening. I read Kerka’s book and want to make my own Kalis stick. I never got to read past that, and would love love love to win this! Jan Bozarth and she actually responded back! This book is great for girls because it gives them faith in themselves and a yearning to be a real fairy godmother! I highly suggest that girls all over read these books. They inspired me a lot. My friends and I meet up to have a Kalis Dance contest every month. Great read and never gets old. have you become a fairy godmother? I know that I have only read one of your books but it was just so inspiring and the way you bring more and more color into the readers and Birdie’s lives. I think that anyone who enjoys fantasy books would love this series. I have written some of the things I liked about Birdie’s Book. Birdie’s Book is my favorite and I think it is so cool! Although Birdie’s Book is the only one I have read , I have Kerka’s Book and I can”t wait to read it! I love Kerka, she is so nice. One of my favorite chapters is “The Singing Stone” because the stone is so mysterious. The way I pictured Belle in my mind, she is the prettiest flower I have ever seen! hello it is isabelle hope you remember me i have read some of your books they are amazing. The books are really cool. I bought Kirka’s Book and it is really cool. I love all the Fairy Godmother Academey books. They’re sooooooooo cool. I wish you would write more. My favorite was Kerka’s book. You’re one of my favorite authors. I love all of the Fairy Godmother Academey books so much it’s hard to pick a favorite. Although it’s hard if I had to pick a favorite I would have to say it would be Kerka’s book. I’ve already read like 5 times. You’re my favorite aouthor. FAIRY GODMOTHER ACADEMEY BOOKS RULE!!!!!!!!!!!!!!!!!!!!!!!!!!!!!!!!!!!!!!!!!!!!!!!!!!!!!!!!!!!!!!!!!!!!!!!!!!!!!!!!!!!!!!!!!!!!!!!!!!! “Birdie’s Book”, of The Fairy Godmother Academy series, is a very adventurous book. Yet, it gives an imaginative mind to young readers. In, “Birdie’s Book”, readers can feel as if they were there. It’s very magical, and I love it. The book seems to come alive when I’m in the middle of reading the series. Jan Bozarth does a great job introducing magical realms and secret creatures behind it. As, Birdie finds herself become a fairy godmother herself, it gives an excitement when I read to find out what will happen next. I can’t stop reading. Once I read one page, I can’t pause. Thank you, Jan for these lovely books! Keep writing. The first book in the series that I read, was Kirka’s Book. With their mother dead, Kirka and her sisters, who are changing in many ways, are living with their aunt. Kirka has made a new friend, Birdie, who’s also training to become a fairy godmother. But when she ends up in Adventurine, she must go to the Kalis Fairies, learn to master her families talent, the wind, and master the right Kalis moves in order to save her sisters. I have read five FGA books. They were amazing and I had a hard time putting them down. One of my favorite books in the series is Sumi’s book. Sumi is a very fashionable Japanese girl. She is given a boy named Kano as a guide. Sumi is thrilled to discover that she is a shape shifter, although she has not yet mastered it. Sumi has to find five mirror shards to complete her family talisman, a beautiful mirror. In this exciting book, Sumi learns what true beauty is. I also liked Lilu’s book. Lilu is a twin. She has to go to a castle to get a crane egg. She gets twin fairies as guides. Lilu has to learn to weave elements together in order to protect Adventurine from a magical hurricane. Lilu learns to move on and not wish things would always stay the same. Hello! My name is Kyrie (Pronounced Keyree). I am fourteen years young. And I am here to tell you why I like the Fairy Godmother Academy Books. First I want to let you know that I have only read Birdie’s Book. I’am currently reading Kerka’s book. The first reason I like the books is because there is always a time where you can relate with the character. You do such a good job at desribing the girls, it’s like they’re sitting right there next to me telling me all about their adventures in Adventurine. The second reason I enjoy the books is you do a great job of showing that even a book characters life isn’t always perfect. So far I’ve discovered that both Birdie and Kerka have family issues. Also you show that everyone (Even herioens, and fairy godmothers in the making) make mistakes sometimes. And I love how you come up with unique ways to fix those mistakes. Another reason I adore these books is that anyone can come up with a story set in the real world, And anyone can come up with a story set in a made up world. But to set the story in both a madeup world, and the real world is quite the task! I have pretty much nothing but praise for your books. You truly are a maginifincent author. And now I thank you. Not only for reading my review, But also for writing this Fantastic series of books. -Sincerley Kyrie L.
I just finished reading Birdie’s book and thoroughly enjoyed it! I will be picking up Kerka’s book tomorrow. The world of Aventurine is whimsical, yet so vividly drawn that I could picture ever step of Birdie and Kerka’s journey together. Fantasy adventures have always entertained and compelled me, and reading your book reminded me how joyful spending time in other worlds can be. Though I am older than the protagonists, I learned from Birdie; the best characters always have something to show any reader. Thank you for writing such a delightful book, for including protagonists of many different ethnicities and nationalities, and for linking this series to issues threatening our world. These are great stories with a great message; and I so look forward to reading more! Hello! I’ve read almost all your books and they were all very gripping and inspirational. I love how they all show different scenarios of pre teen difficulties. ” Birdie’s Book” is a very realistic plot of a young pre teen girl dealing with the difficulties of differences with her mother and the difficulties of moving across the country but with a fantastic twist. With the fate of a beautiful garden and very fragile family bonds at stake, Birdy is left with the huge challenge of fixing most everything fragile and to do so she must find her own inner strength. I would definitely recommend this wonderful book. When Zally receives her families magical cacao seed talisim she finds herself in a land called Adventurine where she completes a special journey with a fairy with a broken wing and a horse. She meets giant spiders trolls and much more. I have read the first five books in The Fairy Godmother Acadamy series. I can’t wait to read Trinity’s Book! I especially liked Lilu’s Book. It is so amazing when she weaves perfect masks from thin air but all of the things she makes from solid materials are lopsided. In Kerka’s book, I love the part where she flies with her Kalis stick. I can’t imagine doing that myself. I wish I were like Sumi and was able to shapeshift and turn into anything I wanted. I love the Fairy Godmother Acadamy series! I love the fairy godmother academy books. I read birdies book and Kerkas book. The spirkins relly makes me feel animalistic. I also love the Kalis sticks. All of the similes in this series relly makes me feel like I’m there. I can’t wait to read Trinity’s book!!! The Fairy Godmother Academy series is all about different girls from different cultures finding their inner self’s. Ms. Bozarth has excelled in writing these books in a clean and articulate way that appeals to people of all ages, no matter if they are 8 or 80! I think that all the girls (or boys!) who read these books will find a bit of themselves in the heroines of this series. And if the readers haven’t yet found themselves, these books and this website will help them discover who they really are. I love every book in this series and am excited for more FGA. Thanks so much Ms. Bozarth! I read all 6 books and loved them but I have a few comments because I notice that: 1) I have never met someone who has even heard of the books, and 2) You are aiming for the preteen audience. I am going to warn right off the bat that anyone older than 9 in my area would consider this a second grade-level book AT THE MOST. I am 11 and none of the people in my school is going to read anything called the Fairy Godmother Academy. It ‘s too late to change that now, but it might help if the seventh book were longer and the covers were less literal. As I said before, I love the books, but I first started reading them in third grade, but even though I have a reading level well above my grade level I think this advice pertains to most other people in the preteen audience (which I am interpreting as 10-13). Now, as I am rereading them, I notice that your stories are pretty straight-foward and not that complex. Let’s put it this way. My book recommendations have never failed (except for my dad, but he doesn’t count because he never actually ends up reading my recommendations), and your books have never been one of them. No offense, but it’s true. What preteen kids reading is mainly Divergent, the Hunger Games, the Fault in Our Stars, ext. (all completely unoriginal ideas that have been stolen from much better books, but thats besides the point). Your books just don’t cut it. Also (and this is a utterly and completely pertaining to – man, I wish I could use italics – ME), I would like for the next step in their training to have them with each other, and I think it would give the book more dimension if the characters spent more time in the waking world. Last but not least, if you decide to take my comments to heart, it would be easier to gain a new audience (a.k.a. the audience you are aiming for anyway) if this book could be read before or independently from the other books. P.S. You might notice I use a lot of parenthesises (how do you spell that?!). Don’t judge. P.P.S. Sorry for all the criticism, but someone has to do it. I do appreciate the weaving and musical theater In Lilu’s Book because the are both things I love doing and do often even though I am a Jew whose ancestors immigrated to America from Austria and Poland in the early 18- and 1900s instead of African-American. I also love how you have people from all different countries. This is a picture of my weaving. I couldn’t paste it in the comment. Please do not share this link! i only read birdies book for now.